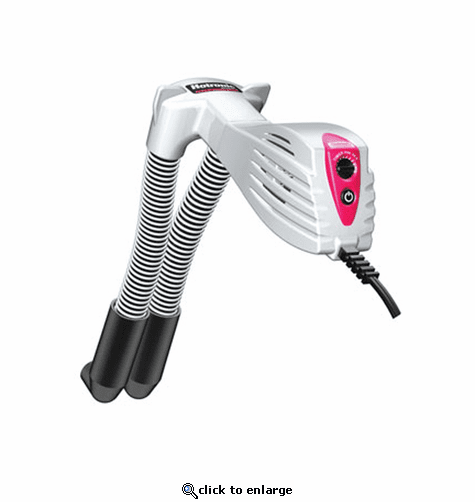 Hotronic's Snapdry Boot & Glove Dryer offers quick, quiet, drying and pre-warming of hand and footwear. Designed with the strength of its patented "Quick Clip" system and a long lasting motor, the Snapdry Boot & Glove Dryer also travels well, wherever one goes, worldwide. Snapdry's quiet, long lasting motor maximizes the Dryer's use at any time, any season, day or night. 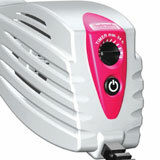 Plus, the built-in timer provides up to a maximum of 24 hours drying time. Turn it on, forget about it, and rest assured. The power indicator light further confirms the Dryer is on or off at a quick glance. 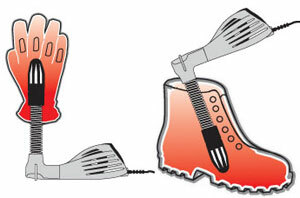 Snapdry's patented "Quick Clip" system inserts in seconds into boots, shoes, gloves, and mittens. 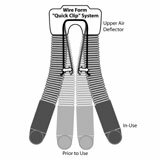 The "Quick Clip" system provides strength and protects the upper air deflector from damage while holding the hand and footwear together and upright. Packs for travel inside boots or included storage bag. Wherever one goes worldwide, the Snapdry Boot & Glove Dryer simplifies travel with a dual voltage selector switch (120V/230V). Plus, the Dryer packs conveniently inside boots or the included storage bag. Using gentle air and heat, Snapdry's Boot & Glove Dryer quietly dries and pre-warms all types and sizes of hand and footwear. Dries within one to five hours. Prewarms in 30 to 60 minutes. Keeps hands and feet warmer longer by enhancing circulation. Utilizing the integrated hand wear stand, Snapdry's Boot & Glove Dryer separately dries hand and footwear to minimize potential transfer of bacteria and fungus between hand and footwear. When consistently drying hand and footwear, the Snapdry Boot & Glove Dryer minimizes potential bacterial and fungal growth by maintaining a dry, comfortable, healthy environment for hands and feet.